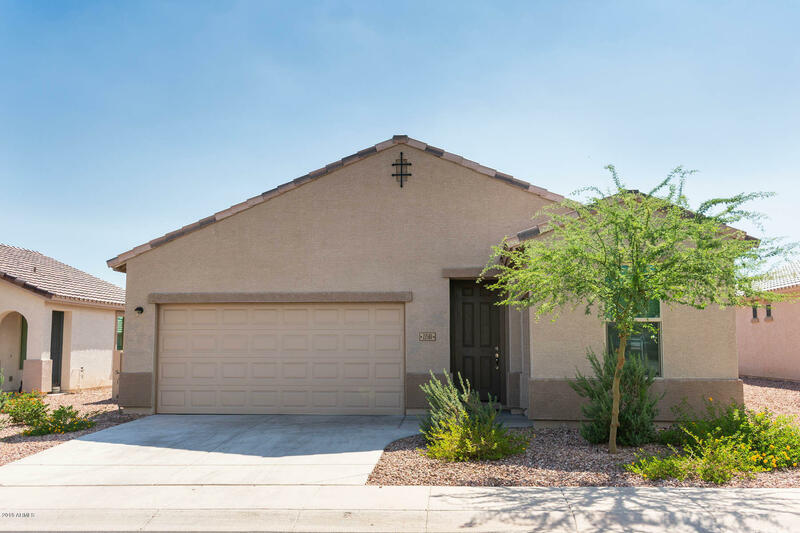 All Sundance homes currently listed for sale in Buckeye as of 04/19/2019 are shown below. You can change the search criteria at any time by pressing the 'Change Search' button below. 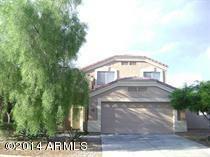 "Welcome home to your light and bright beautiful 2968sf two-story home on an oversized lot! Built in 2013, this is on of the newest builds in the Sundance subdivision. 4 bedrooms plus loft plus den and 2.5 bathrooms. Nice open living room and dining room! Kitchen features Toffee Chocolate Glaze Maple cabinets with 42'' uppers, granite counter tops and stainless steel appliances. Neutral color tile throughout first level, wood laminate on stairs and second level and lovely two-tone paint throughou"
"MAKE THIS HOME YOUR FIRST STOP! Meticulously maintained home oozing with pride of ownership. 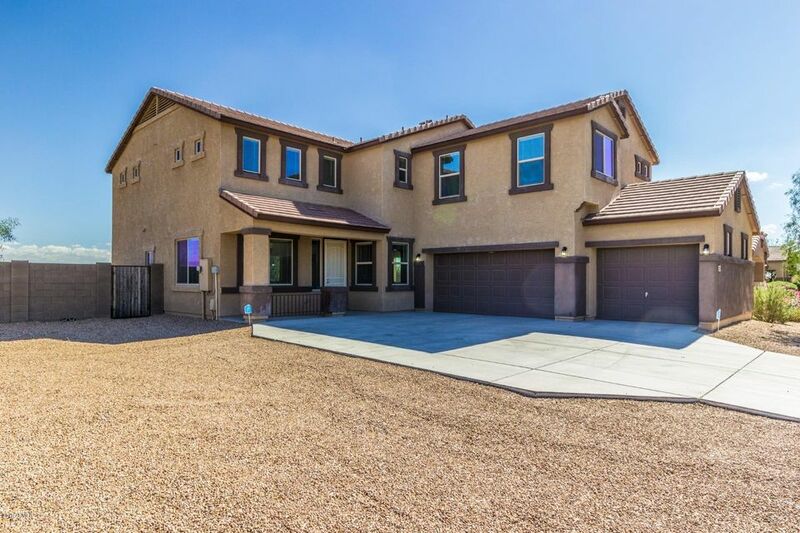 Large master suite, private office with double doors, huge kitchen island, low maintenance desert landscaping. FULLY ENCLOSED BACKYARD is Must have for owners with small fur babies!! Dedicated golf cart garage in addition to 2 car garage. Lots of storage! 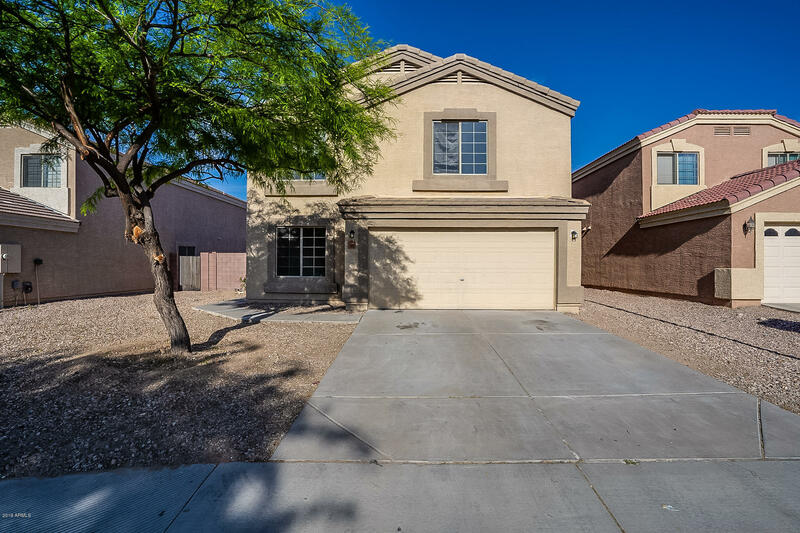 Built in 2016 with all the right builder upgrades - beautiful wood cabinets, granite countertops, tile in all right places, luxurious owners suite with"
"This beautiful 4 bedroom, 2-1/2bath home is spacious, light and MOVE-IN READY. Perfect for a large or growing family. Between the large living room and family room you'll have plenty of space to entertain or enjoy family without feeling crowded. Enjoy breakfast at the kitchen island or near the bay window overlooking the backyard. Nicely landscaped with grass. The bedroom and half bath located on the first floor is ideal for a nanny, grandma, mother-in-law or home office. Huge master bedroom and"
"EXCELLENT CONDITION!!! Brand new carpet in the entire 2nd floor and all porcelain tile in the 1st floor, all appliances stay, fresh new paint, this house has been manicured to perfection, enjoy this 4 bedroom 2.5 bath home located in this ever growing city of Buckeye.All assessments from the city of buckeye has been paid by the owner." 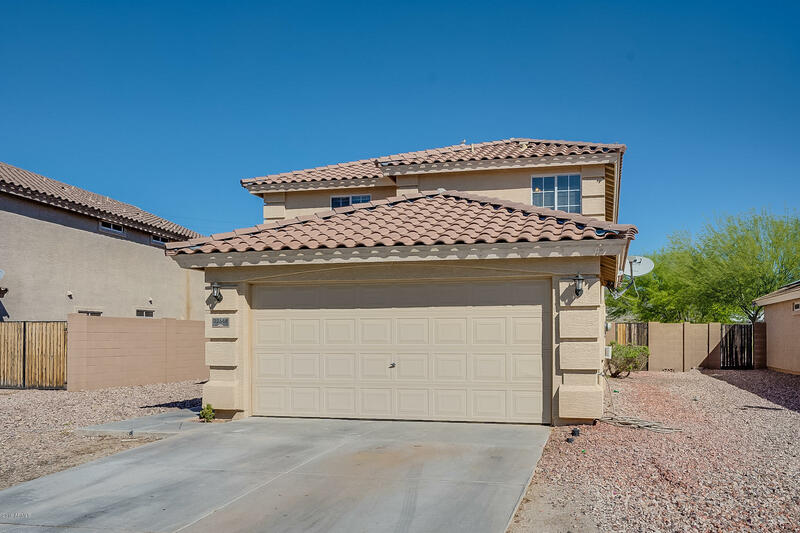 "Come see this 4 bedroom/ 3 bath, two-story home with a loft in Sundance that offers fresh paint, new carpeting throughout, and solar panels. The kitchen has freshly painted cabinets, stainless steel appliances, and flows into the dining and living room. Upstairs, the loft is great for a playroom or game area. Master boasts an attached ensuite with dual vanity and spacious walk-in closet. This home is a short drive to shopping, dining, and the highway. Come view this home today!" 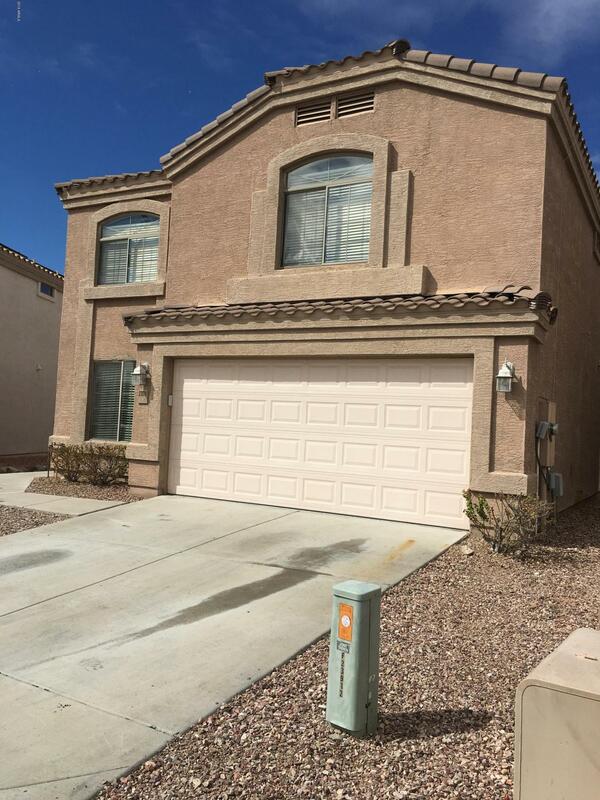 "**BEST BUY IN BUCKEYE** FRESH 2-TONE INTERIOR PAINT AND BRAND NEW CARPET AWAIT YOU IN THIS MOVE-IN READY HOME! FEATURES INCLUDE LAMINATE WOOD FLOORING, CUSTOM SLATE BACKSPLASH IN KITCHEN ALONG WITH STAINLESS STEEL APPLIANCES AND FOOD PANTRY, CEILING FANS IN ALL BEDROOMS AND LIVING SPACES, HUGE UPSTAIRS LOFT, INSIDE LAUNDRY, WINDOW BLINDS THROUGHOUT, TILED SHOWER SURROUND IN GUEST BATHROOM, UPDATED BATHROOM VANITY TOPS, WALK-IN CLOSETS IN THREE OF THE BEDROOMS, CUSTOM TRIM AROUND DOWNSTAIRS WIND"